Have you thought about working out at home but you’re not sure where to start? Do you think you don’t have enough room for a home gym? If the problem of creating a gym in your home is overwhelming, this guide can help you choose the best home gym equipment for you, the space you have available, and your budget. By the end of this guide, you’ll already have your home gym planned out and a plan for making it a reality. The list of benefits when getting your workout at home is extensive. Fitness Magazine lists 15 benefits, but there are many more. In fact, many of those who work out at home find it easier to get motivated and easier to stick by their fitness goals. While you may find benefits all your own, these are my top three benefits of having a home gym. I can’t use the excuse that the drive is too long, I don’t want to deal with traffic, or there’s not enough gas in my car. My looks don’t matter. I could be having the worst hair day, don’t feel like putting makeup on, or I’m wearing the same clothes I wore yesterday. When done with my work out, I can head to my own shower instead of a gym shower that may not be the cleanest. Plus, it’s just more comfortable to shower at home. Cardio exercise, which gets its name from its cardiopulmonary benefits, is vital to a well-rounded workout. Cardio is any exercise that gets your heart pumping faster and your lungs breathing harder. When this happens, you’re strengthening your heart and lungs which can lower your risk for a heart attack or stroke. It can also lower your LDL, or bad cholesterol, and raise your HDL, or good cholesterol. If you are trying to lose weight, cardio exercises will help you burn the most calories. The benefits of cardio are wide-ranging, and you may see unexpected benefits as you incorporate this type of exercise into your home workout routine. While just going for a run can be considered a cardiovascular exercise, this isn’t always feasible. Having the right cardio home gym equipment can make it much easier to get your heart pumping. However, having an entire home gym filled with every expensive machine available still may not give you the best value. It’s important to have the equipment that you feel most comfortable using and offers the workout you look forward to. There are many kinds of cardio exercise equipment that are perfect for home use. Let’s look at some of the best. A treadmill is the gold standard of home workouts. A treadmill makes it easier to get moving without having to drive to the gym to use one and without having to go out in weather that may not be the best. The best home treadmill for you will be one that offers the features you’re looking for. If you plan on using your treadmill for HIIT, or high-intensity interval training, you’ll want one that can be programmed for this kind of run. Having an adjustable incline can also help with HIIT workouts or it can be used to level up the intensity of your cardio. If you don’t have a lot of room for a treadmill in your home, there are also folding treadmills available that take up much less space. These folding treadmills are just as awesome as traditional treadmills but with a smaller footprint. There are many types of exercise bikes that are perfect for a home gym. The kind you choose will be dependent on the type of cardio exercise you plan on doing. Some exercise bikes can be used in several different ways, which makes them a great value for a home gym. In this way, you won’t need a bike for each cardiovascular exercise, as one can do the job of several. 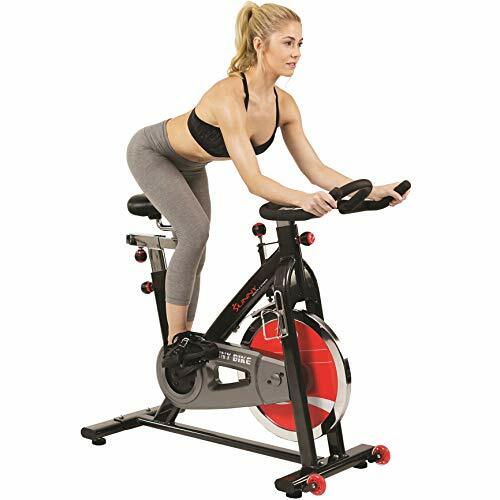 A spin bike is often used for HIIT training. It’s designed so you can pedal faster as well as incorporate other postures. You may be standing while pedaling, you may be leaning over the handlebars, or you may be sitting on the seat for the short duration between intervals. If you’re looking for a less intense workout but still want to get the important cardio while working out at home, a stationary exercise bike is ideal. A stationary exercise bike can be used in many ways, often has adjustable resistance, and may even have features such as a display that can tell you the stats of your workout. 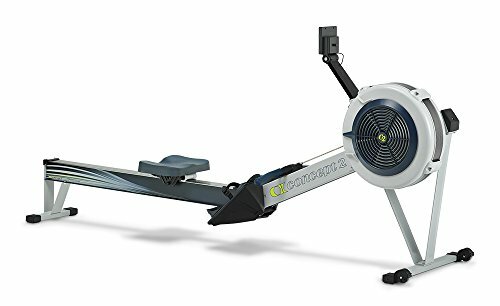 If a stationary exercise bike doesn’t fit your needs and you’re looking for a slow introduction to the world of cardio, a recumbent bike allows you to get a similar exercise while adapting it to your body’s needs or limitations. 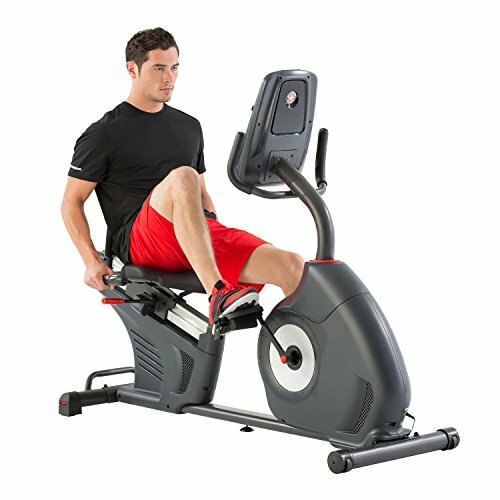 Just as with the folding treadmills mentioned above, if you’re short on space a folding exercise bike can allow you to add a great piece of cardio exercise equipment to your home gym without it taking up as much space. Many have the same features as other exercise bikes that are designed for home use. If you’re tired of the same old, same old when it comes to getting the cardio exercise you need for the health of your body, there are several ways to change up the routine. In years past, having an elliptical trainer in your home was nearly impossible unless you had a fair bit of space available for it. Now there are elliptical trainers that are designed with a smaller footprint so it’s easier to incorporate them into your home gym. Elliptical training provides many of the same benefits as cardio performed on a treadmill or bike, but there’s less of an impact on your knees and lower back compared to running. If you’ve ever enjoyed jumping on a trampoline until you are completely out of breath, a rebounder just may be the perfect cardio exercise equipment for your home gym. The best rebounder can combine many aspects of HIIT training while also being fun and entertaining. Rebounders also take up very little room and may even break up into smaller pieces so it can easily be put away and out of sight. If you’re not sure rebounding is for you, try a class at a local gym. If you enjoy it, having a rebounder at home can make it easier for you to get that important cardio exercise. Low on space? Try These! Let’s face it, some of us just don’t have the room in our homes to dedicate to gym equipment such as a treadmill. 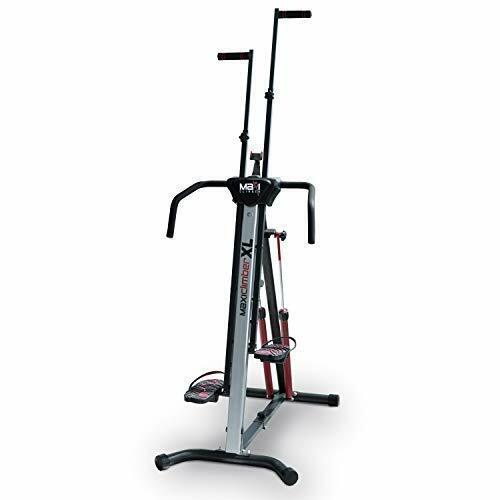 A vertical climber takes up very little floor space and is a great value considering that you can get your cardio as well as a whole-body workout with just this one machine. A mini stepper is just what it says. It is a very small machine that allows you to get a workout like walking or running upstairs. 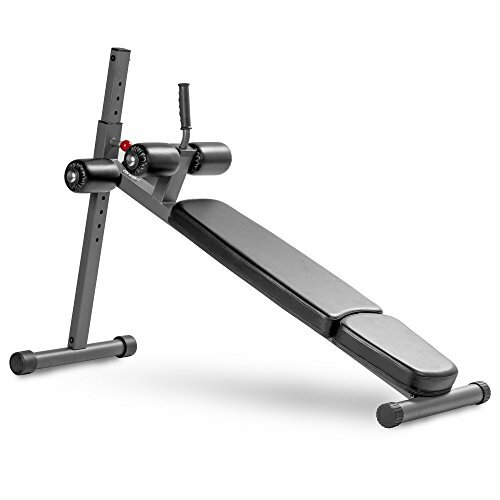 This is a piece of home gym equipment that can easily be carried into another room or placed in a closet to get it out of sight and out of the way. If you have a job that requires you to sit at a desk for long periods of time, an under-desk elliptical bike can help you to get the cardio you need while not skipping a beat when it comes to your work. Your legs can be pedaling along under your desk whether you’re writing a report, taking a call from your boss, or preparing for the next staff meeting. Building muscle doesn’t just make you feel stronger and much better physically, but lean muscle can also help you burn more calories. As important as cardio is for your home workout, strength training is just as vital. Some of you may be thinking about a rack of dumbbells and some of you may be thinking about an entire jungle gym in your home. Neither is necessary to get a great strength training exercise right in your own home. The strength training exercise equipment you invest in can be low in cost and higher in value depending on what’s best for you. 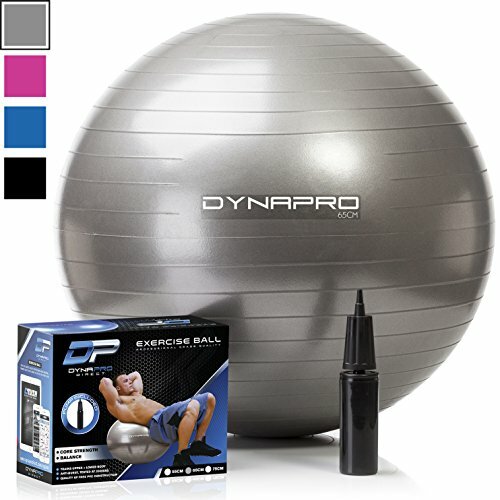 An exercise mat along with one of the best exercise balls you can find can open up an entire world of strength training exercise. If you were to add resistance bands to this workout you can increase the intensity and see that lean muscle even faster. 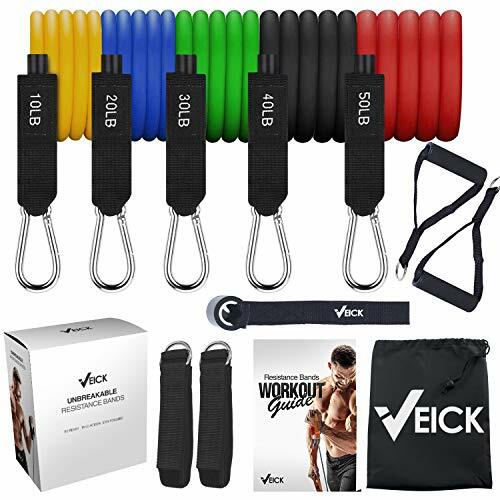 All of these items allow for many types of exercises which makes them a great first investment in your home gym. 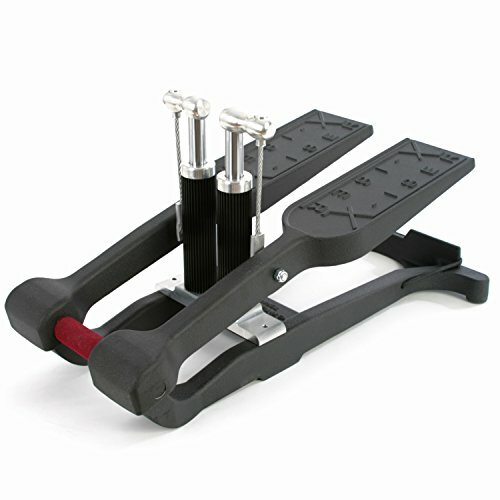 All of the cardio equipment listed above can be used with the addition of ankle weights. These level up the intensity of your cardio workout and also adds an element of strength training. 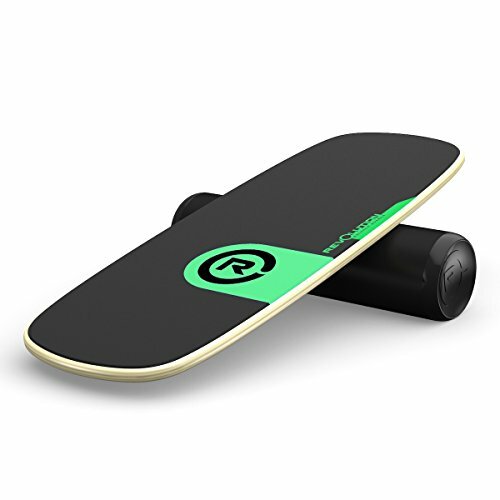 Improving your balance while also using nearly every muscle in your body can be done with a balance or wobble board. These boards can be used for everything from a mild two-minute plank, to more intensive strength training using other equipment such as a medicine ball or even the resistance bands you already have. If you’re ready to up your game when it comes to strength training, there are many more home gym equipment options. 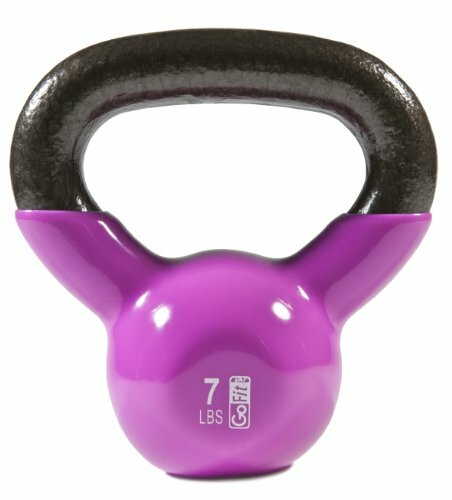 Kettlebells, as well as dumbbells, are compact weights that can be used for tons of different exercises so you can target specific muscles or muscle groups. When using weights like these, be sure to invest in a great pair of weightlifting gloves. CrossFit has become one of the most popular ways to get a complete body workout that incorporates both cardio and strength training. However, you don’t need to head to a crowded gym for a CrossFit class. You can do it right in your own home, in your garage, or even your backyard. One of the pieces of CrossFit equipment you will want to invest in are battle ropes. Just as with weights, a great pair of CrossFit gloves can keep you pushing hard without injuring your hands. A weighted vest can be added to many types of exercises, both cardio and strength training, that intensifies the workout as well as the results. When it comes to a vest like this, a proper fit is important so that the vest stays put on your torso and doesn’t put you off balance. Many people, especially women, want to target their abs to get a lean, toned midsection. If this is you, an ab machine is designed to do the job. 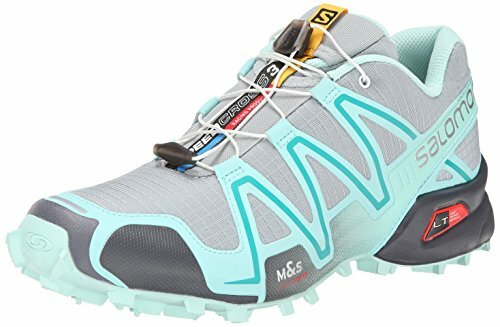 These take up very little room, so they are perfect for a home gym. It’s easier than ever to get the targeted ab workout you’re looking for. Suspension trainers have been around quite a while but have recently gained popularity, especially for those who want an intense strength training exercise at home but have very little room. A suspension trainer uses your own body weight to create the resistance you need for the perfect workout. Usually, all you will need is a sturdy doorframe. However, you can make a more permanent place to hang it with the right anchor and hook in your ceiling. As you can see, even with very little monetary investment and not much room in your home for a gym, it’s still possible for you to create a place in your home for the equipment you need for both cardio and strength training exercises. Even if you have to pull out the equipment when using it and put it back up after, you will still see the many benefits of working out at home. Want to see some of the best home gyms? Check out these ones for some ideas and inspiration when building your own.